Raw Treat Frozen Minced Venison. This 80/10/10 mix contains meat, bone and offal in the correct ratio to provide your pet with a balanced, nutritious meal. 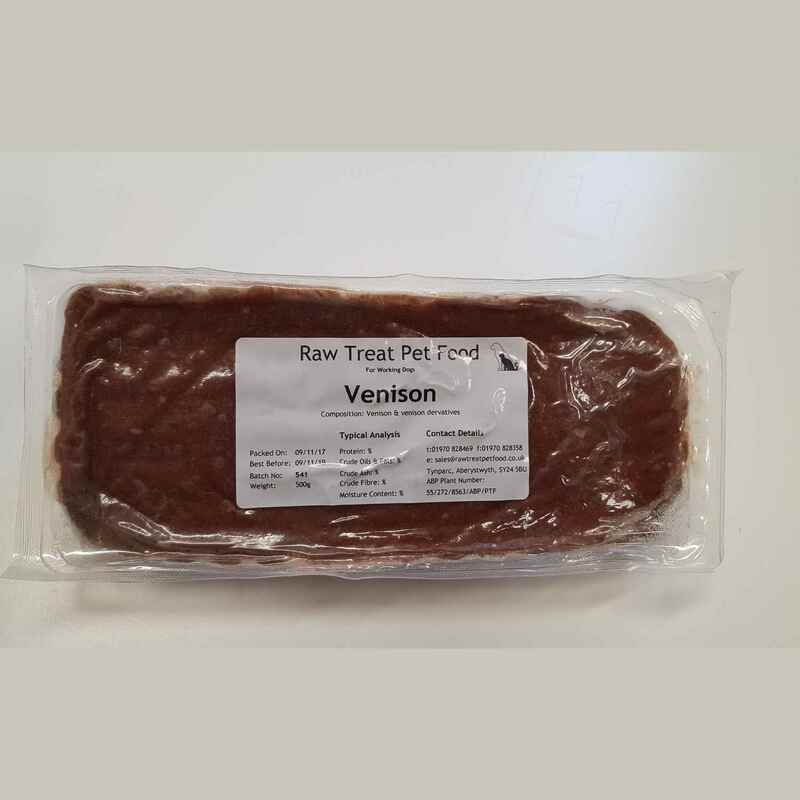 Venison is a high quality, lean red meat. It contains Omega 3 and is a very high protein source. Frozen feeds can be combined with vegetables or supplements to create a complete balanced and varied diet.